Premier League top scorer odds: Who can take Salah's crown? Premier League top scorer odds and betting tips: Who can take Salah's crown? The Premier League Top Scorer odds have shifted since the start of the season but Harry Kane still remains the odds-on favourite to take Mohamed Salah’s crown. Sergio Aguero has been cut from 8/1 to 10/3 whilst Salah – who took the English top-flight by storm last term when he scored a record 32 goals – has seen his odds lengthened after a poor start to the season. But what do the other odds look like and is there value to be found in the current betting? Kane remains the betting favourite to claim the 2018/19 Golden Boot award. The Tottenham man has been ridiculously prolific over the past few years, producing a consistency to rival that of any of the great strikers in the Premier League era. With 84 goals in his last three seasons, Kane has swept up two of the last three Golden Boot awards and his 30 goals in 2017/18 have been equalled or bettered by only five previous top goalscorers in the 38-game era. Despite question marks earlier in this season over his fitness, the England captain has remained adamant he is feeling as sharp as ever and that his game has ‘not dipped’. Originally trading at 9/4 before the season kicked off, Kane is now betting at 11/4. The ever-green Argentinian. The only constant in a whirlpool of strikers that seemingly hop in and out of the Premier League. When Kun Aguero was notching 23 league goals seven years ago, players such as Clint Dempsey, Demba Ba and Yakubu were also recording double digits. This era may be a different ball-game all together but Manchester City’s all time leading goal-scorer has never failed to make his mark in a league season. He has averaged 20 goals a season in the league since arriving on English shores in 2011. Although he boasts an incredible goals-to-minutes ratio in the Premier League – the best in it’s history (107.3 minutes per goal, 143 goals) – regular injuries and the host of brilliant forwards he’s had to share playing time with means Aguero has only one Golden Boot to his name. But could that about to change? 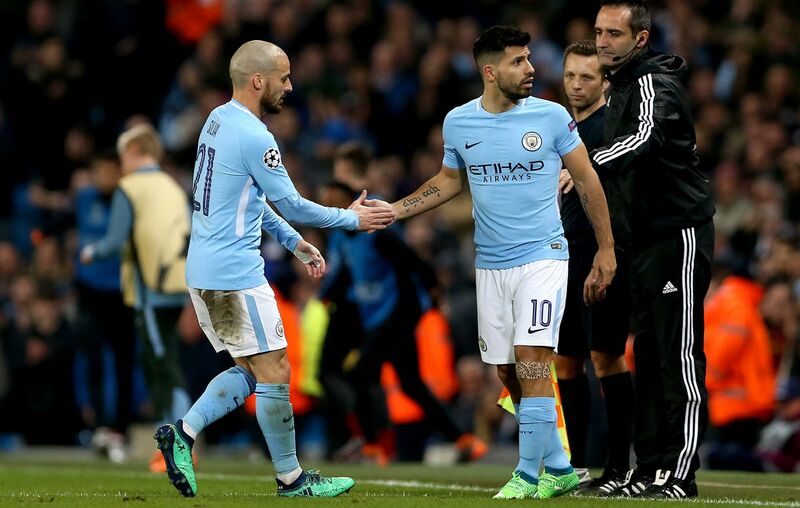 We reckon so and based on Pep Guardiola’s assertion that he’s never seen Aguero at such optimal fitness as well as Gabriel Jesus’ rough patch of form, a punt at 10/3 should be well worth your consideration. Click here for our latest Premier League title odds and predictions. Don’t get it twisted, Salah is a striker not a wide player. His brilliant adaptation into Jurgen Klopp’s system as a forward has resulted in the most remarkable period of his career. The Kop legend’s most productive year prior to this season was his last with Roma when he scored 15 league goals. His third highest tally was the 14 he scored the year before that. You might wonder then if last season was merely an anomaly for the Egyptian. Or is it that this Liverpool side was tailor made for Salah and the sleeping, goal-scoring cells that existed inside the Egyptian were just waiting to be activated? Eden Hazard was nowhere near the running in the Premier League top scorer odds at the start of the season yet now finds himself as the third favourite in the betting. New coach Maurizio Sarri has reignited his Belgian forward’s appetite for goals and deployed him higher up the pitch, freeing him of his defensive shackles. The result? Hazard’s best ever goal-scoring start to a season. 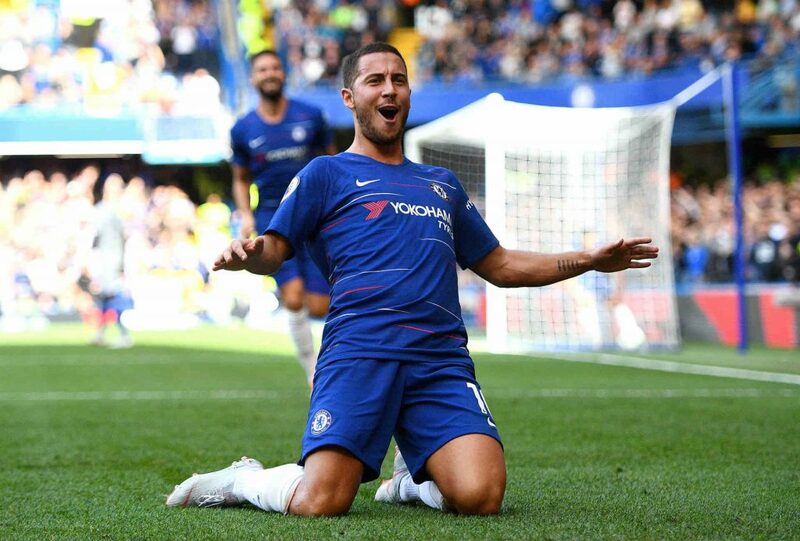 After being eased back in following World Cup, Hazard scored seven goals in his first five starts and with seven league goals already, Hazard is just nine away from reaching his personal best in a Chelsea shirt. Yesterday I said to him that for me you can score 40 goals – but you have to spend less energy far from goal and you have to play in the last 25 metres of the field. The Belgian would likely have to top his personal best at Lille (20 league goals) and for now, he’s well on his way to doing that. At a 5/1 pick in the betting, there’s certainly value to be found in Hazard becoming the first Chelsea player to win the Golden Boot since Drogba in 2008/9. Aubameyang was remarkably productive for two teams last season, scoring 21 goals in all competitions before Christmas with Dortmund and then notching a further ten for Arsenal after he joined in January. His 31 across 2017/18 was the third season in a row he managed over 30 in domestic and European action – definitive proof he’s a natural in the forward position he made his own since his Klopp-inspired switch from the right-wing. The Gabonese’s penchant for finding space in the box and lightning acceleration and speed makes him a certain hit in whichever league he plays in. Don’t be put off by the fact he plays for a supposedly weaker team, great forwards deliver the goods wherever they are – just ask Harry Kane and Jamie Vardy. Having done the business in France and Germany, is betting at 11/1, just shorter than the 14/1 offered to his striking partner Alexandre Lacazette. Lukaku’s redemption arc at Manchester United was one of the peculiar stories of the 17/18 Premier League season. Having gone 12 games from September to December with only a single goal to show for it, Lukaku was criticised by his own fans which saw his stock and confidence take a huge hit. There were doubts over his movement, first touch and general associative play. His much-maligned playing style was thought not to be adequate for that of a top club but the Belgian showed remarkable mental strength to snap back in style. The 13 goals he scored in 16 games from the start of January to end of March showcased his prolific touch while his overall game improved dramatically. At 14/1, Lukaku is not fancied by the William Hill traders to finish in the top scorer odds.